As the temperature rises outside, you need to maintain the ability to control the climate inside your home. Below are five tips that will help you keep your home cool all summer long while reducing your energy bills. While the roof may protect your home from directly above, the walls create a barrier that keeps you and your household well shielded. The outer layer of the walls is most protected when you install brand new siding along the outside. Of all the types of wall covering available, siding is the most durable, attractive, cost-effective and energy-efficient. It’s also quick and easy to install. 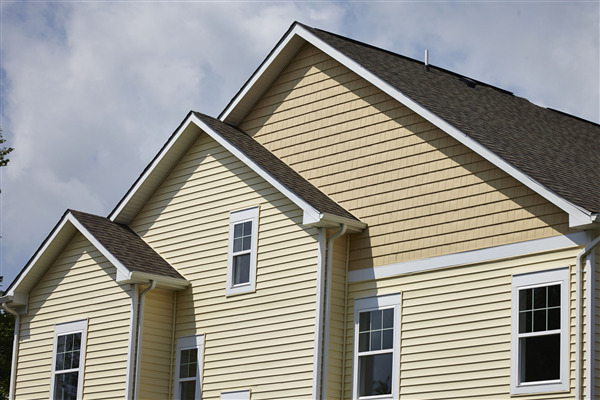 Energy Star estimates a 25%-30% savings after implementing siding onto the walls. Is Your Home Fully Insulated? Although roofs and siding can make your home more comfortable, they can’t do it alone. Nor can the drywall or plaster installed on the inside. None of these materials can give you 100% temperature and climate control. This is why insulation is important. If you haven’t had your home’s insulation evaluated in a while, then spring and summer is the best time to do this. Proper insulation can save you 50-75% on your energy bills annually. Without it, you have absolutely no way of either setting the temperature or regulating the humidity in your home. The windows in your home are target areas for drafts. As the house structure gets older, the framework can shift or become loose from the window. The window itself can also lose its seal. This causes drafts around the window. The answer is to replace the old windows with brand new energy efficient windows. Modern windows have a lower U-factor for insulation than the old models. They are tighter around the frame and can control the amount of UV rays that can penetrate a home. On the outset, remodeling your home may not seem like a solution for keeping it cool. When you consider all the upgrades that can be made, however, remodeling any room in your house can create an opportunity to reseal it and protect it from the outside elements. For instance, if you’re changing the flooring in your home, this would be an opportunity for you to choose flooring that has better insulative properties than the previous flooring. Remodeling a room can also mean updating all the items mentioned above: the windows, insulation, and even the ceiling or attic area. Are you looking to update your home in order to keep it cooler during the summer time? Then contact Intelligent Design Corporation. We provide a wide range of services and products that are perfect for making your home more energy efficient during the hot months. Contact us today at 763-315-0745 and let us help you launch your new project. Green Roofs? Cool Roofs? What's the Best Option?